Dark Living Room needs a bright makeover! 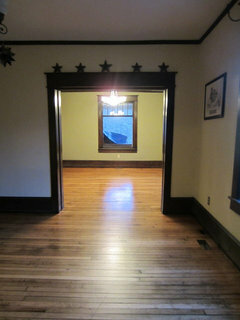 Our dark woodwork and dark stained flooring seem to overwhelm the room--I'd love a bright "airy" look without painting the trim. Just now starting the makeover so any suggestions at all would be very appreciated! Would white walls be too much of a contrast? Is a bright color a good idea? thanks!! Can't wait to see the new floors. It will make the biggest change over all. Brooke Strong- what is the difference between a family room and a living room? i really enjoyed your living room transformation. i am looking into the rest. hardware colors. thinking about Glacier, but it might still be too dark. maybe a lighter variation on glacier? I don't want the style of the home to dictate the design (in other words i am not intentionally going for arts and crafts/traditional look--it just sort of took over) i like vintage/cottage/eclectic with some modern...we have 3 bookcases in that room and some have suggested putting at least 2 together but there is no wall space for that. i could move 1-3 of them into another room, though...i am thinking i will pick a color from the dining room rug and tie it in...great suggestion and it's been confirmed by other experts! thanks so much. 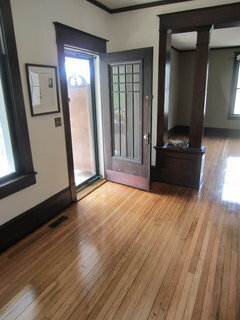 So here are some photos of the "new" floors...which are fairly rustic (we've always thought the prior owners stained them dark to cover up the flaws/stains instead of repairing) but I am very happy with it. Took these after the sun went down do it will look different tomorrow...now that all the furniture is out it's logical to get the painting out of the way. SO, must pick colors! Paint Color Question: Tried some blues and white around the window in first photo...not sure if it's too "cool" or if a cool paint color can be warmed up by accessories, furniture? Does anyone have a suggestion for a light blue that will complement the rug in the dining room, since I plan to move it to the living room now. The second photo is the entry way which is white, the third is the dining room which is belgian waffle (looks like butter)...just to give you an idea of what those colors look like. 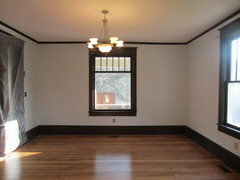 We will be painting all the rooms except the dining room. 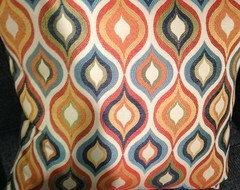 Last photo is a piece of the rug I would like to complement...Have mercy! This is way too many decisions for a novice!! What a difference the lighter color floors just look beautiful. You must be thrilled with the results the rooms look brighter already. I like the dining room color or maybe a shade or 2 darker. For a bite more contrast with the white sofa and it would look great with the rug in the living room. 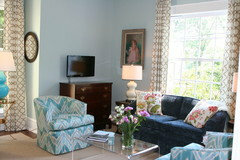 for a more golden feel with using the teal color as a accent color. great Job ! It's hard to tell colors (in the rug) from a picture but a blue that is nice and not so cold is woodlawn blue (Historical collection BM). It can look like a real blue or a greener blue depending on the lighting and your accessories. Another color I like which is greyer and a little cooler is smoke (also by BM). Here is a picture of the woodlawn blue. Your floors look beautiful, I have to admit it :-) A tiny part of me is still sorry to see the dark floors go, but this is a beautiful result. You must be so happy. Paint colours are really hard to judge from a photo on screen. I think I like the white that's between window and stairs best, because it looks a bit creamy. But then again, in a different light it could look much different. So you're in the best position to judge that. Cool colours are not a bad thing, it just depends where you apply them, in a warm south-facing room cool colours will be great. 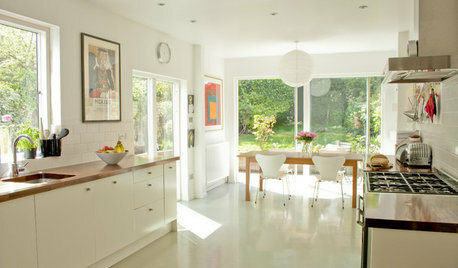 If your home doesn't get that much natural light I think it's safer to stay on the warmer side of the paint colours. 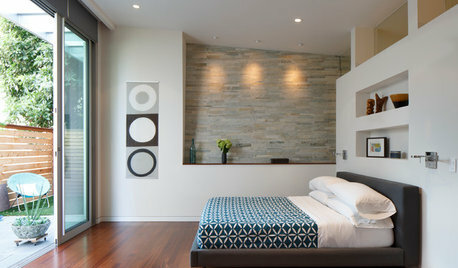 No amount of accessories will warm up a cold and dull looking wall. I've looked at Glacier from RH, but it seems too grey (= cool) to me. I also was saying to not lighten the floors, but I have to admit, they look great. 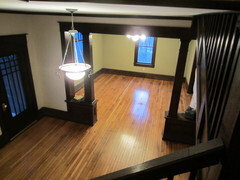 There's enough natural variation in the wood that the dark parts of the floorboards pull it all together. Beautiful! The rug is a great inspiration peice. I'd take the lightest beige (not the background cream from the border) and try a paint sample that color, or maybe a shade lighter. 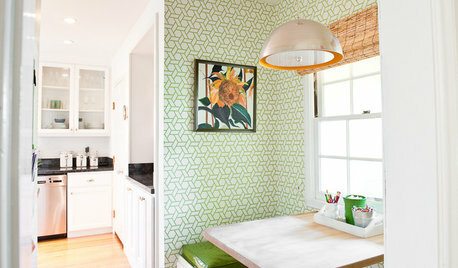 I LOVE the "belgian waffle" color on the dining room! It's exactly the color I want the exterior of my house. Can you tell me what brand of paint that is? Let the rug guide you through the entire paint process. I would be rolling it up and taking it to my local BM or SW or other paint retailer for exact paint matches! I have a room very similar to yours. I painted the walls a buttercream yellow, which made it a bit brighter. 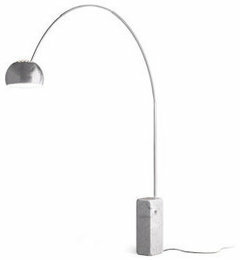 In the evening it is warm and cozy using floor and table lamps. I have always struggled with curtain placement too! One thing you might consider if the walls are in good shape would be to use a satin instead on a flat paint. The satin finish would bounce light. 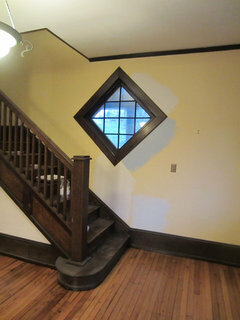 But it also shows flaws in the walls more. Just a thought. I used a satin or semi-gloss on my plaster walls and IMHO it looks great! One more thing-- not sure if this was mentioned in the multitude of suggestions--any place available for a large mirror? Just looked and can't see a good place for a mirror in the LR, but you could have one in the DR.
KRD-Is satin the same as eggshell? we finished the painting today and went with eggshell...decided on trying to tie the walls in with the new (formerly dining room) rug, pulling from the blue in it. Behr's Fresh Day. Funny how it looked practically white on the swatch, but after 2 coats dried on the wall it was even more blue than i had hoped! but I am happy with the outcome. definitely brightens the space--and reflects a ton more light. now the long process of finding some end tables, a coffee table, and beautiful artwork. 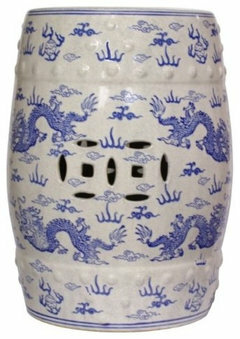 i but pretty much everything at auctions or on craigslist so acquiring things that will work will take time. 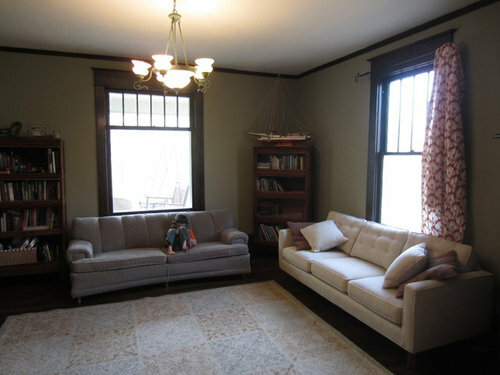 At this point I don't think I *need* curtains to brighten the space--but do the windows look too bare? 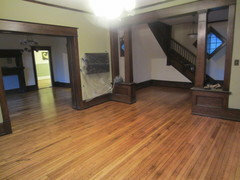 so far the total is under $500 including refinishing floors, paint and labor...so I am thrilled! What a difference! Really nice! That is quite a result! Love it. I don't have curtains in my home, just some Roman shades/blinds here and there, so I'm not a curtain-person. But I do think that you may want to consider curtain panels, floor to ceiling, that just hang to the side of the windows. It just gives a more 'dressed' feel. If you don't feel the need for curtains, you'd better leave the beautiful windows as they are. That paint job did wonders. The windows don't look bare but that large expanse of (beautiful) carpet does. 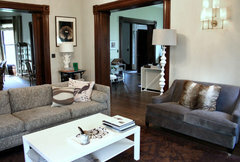 Are you planning on bringing in a couple more pieces of furniture ? I'd not go overboard with cushions, in this space. I think your sofas look better without and that adding them might well make the windows look 'undressed'. I'd keep with the uncluttered look you have ... but add the couple of missing pieces of furniture. The paint job made a HUGE difference ! Hi, nouterbud, I don't think the couches need to be 'tied together' ... I think using the same pillows on both will only look like an 'apology' for the sofas not matching. :-) They look good precisely because they're different, in my opinion. I think it helps that they don't both have cushion backs and are far enough apart in style for it to look intended rather than unfortunate ! Re the coffee table, I'd try again with the one in the last set of pics you posted .. top left. I like that it's bigger and higher than any of the others. I'd position it off centre ... pulled in toward the meeting point of the two sofas. It might not work, but the room has changed so much that it's worth a try at least. I'd use an armchair in the remaining 'corner area' of your rug ... the placement and angling of which depends entirely upon the way it looks from both of the two entrances and the amount of clear space you have for moving around it .. and for viewing TV, either from the chair or the sofa. Thank you! 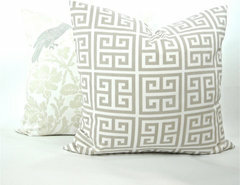 The pillow suggestion I received earlier was not to put matching pillow on each couch but to use the find a fabric with grey and cream together ( and maybe some aqua, at least that's what i was thinking...). I will move the trunk back in and see how it looks. I think the bigger wooden coffee table, top left in your above room pics, is the best one to try .. all the other pieces looked too small and too thin, to me. the trunk is definitely too small. 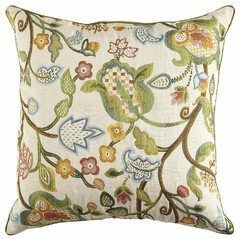 Here are some pillow/fabric thoughts. It's difficult to tell the colors in the rug exactly so the pink one may be out there and maybe you can find it with blue. 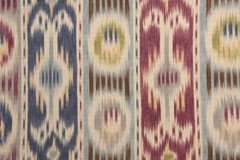 I would pair one of these with a solid either grey or white/off white linen and then pick up one of your rug colors in the piping. I agree panels would finish the space but given the size of your windows that's a very big investment. 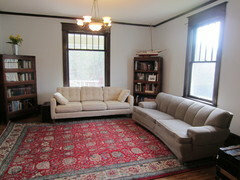 The big coffee tables suggested above would look great. 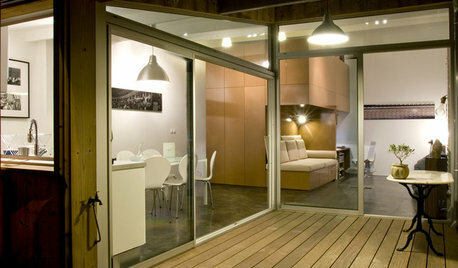 I would chose a wood / metal combination or even glass / metal to avoid too much wood. Look at the brightness difference in the side by side! Very nice! I really like the new color. Hm. Why didn't it post? Nice, amy, I like the first two. I'd use them together for a less contrived look and not add colour at all. I like the idea of less contrived!! 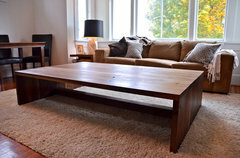 the dimensions of the square coffee table are good but the problem is, it's now being used as our our dining room table (we switched out the legs...) so maybe i will ask you super helpful people if it works better in the DR or LR, and then go from there? it would probably be cheaper to replace the coffee table than replace the dining room table...but i'm not convinced right now that it looks great in the DR. with the removal of the rug the DR looks very wood toned/yellow...I should start a new post with DR issues!!! I saw this and it reminded me of your room. I know it does not have the beautiful trim your room has, but maybe the look you are looking for and the colors are pretty together. Just maybe do the reverse, light couches with colored pillows, and colored chairs. Just an idea. Good morning! I have a dark eggplant fireplace with matching leather sofa and recliner and a buttery oversized leather chair (that still needs an ottoman). I applaud your work on this! What a difference already! The change in rugs really makes it pop! I would select pillows like the first pillow posted, or that color palette as it ties in with the yellow in the DR. Perhaps your yellow DR is too yellow now because you took out that lovely rug which grounded the space. 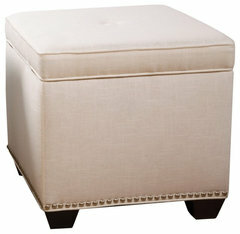 Your trunk could be repurposed as a side table. Being that this room is where you relax and watch TV, you might want to consider a large ottoman/coffee table--something you don't mind putting feet on. There are so many choices to see just on this site! Looks like you already have a mirror in you DR, so no point in another. 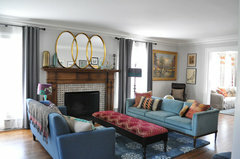 This living room makeover has obviously snowballed! 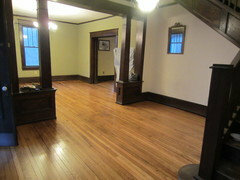 here is my question about adapting the dining room now that the carpet has been stolen! 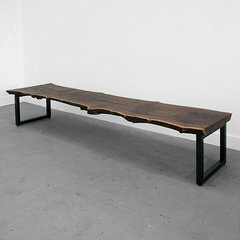 Would that be in addition to a coffee table? if so, what shape/size? thanks!! I saw this photo today and it reminded me of your living space (dark wood, blues, greys, cool color on the wall, reds and two different couches). It's a pretty cool eclectic look. Hope your project is going well! What a pretty room amythorn! 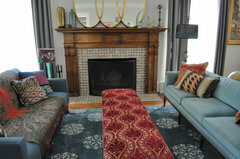 I love the mix of red ottomon and blue printed rug. I also like the mantle, very nice! I LOVE that living room . I am still working on a coffee table solution--and that bench with the red upholstery is really cool. Very inspiring! The first room is similar in your coloring - quieter than the previous room I saw (Linden Ave) but still nice. 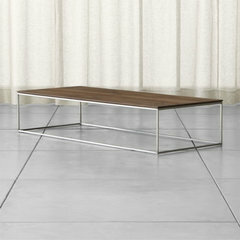 The other pictures are examples of coffee tables. You can do either square or rectangle or even round - it should be a good size (bigger than your previous). You could also do two smaller ones as shown in one of the pictures. Did you ever pick your pillows? Wow, love reading over the comments and seeing all the progress. You have done a wonderful job so far! 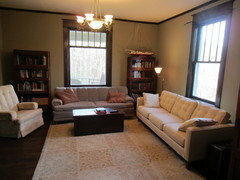 Just a suggestion, I think the gray sofa looked better in between the bookcases like it was originally. It had more balance. 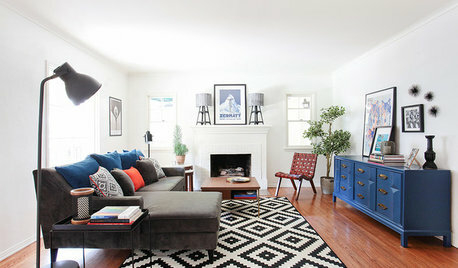 I would also suggest adding accents with some blues or reds from the rug. Nothing too crazy, but subtle touches here and there. 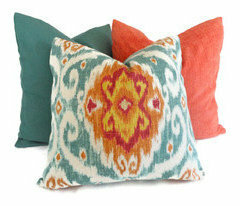 How about pillows in an Ikat design with colors from the rug? Its a really great room to work with. Add more contrast, accent colors, coffee table, statement chandelier, woven shades for texture, accent chairs in color/ pattern. Rod need to be higher. Oh dear! Looking at the gloomy room, quite honestly, I feel like I am back in the womb! Light gives life! 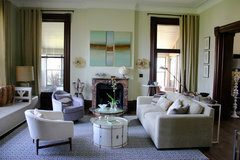 Making your living room bright and fresh and inviting will lift your spirits and give you energy. If you paint the walls a creamy colour to match your carpet, the room will brighten up and your current furniture will go well with it. It's hard to tell but do the colours in the carpet (pale red and blue?...) go with your sofas? If not, banish it to the basement. The windows are so beautiful. 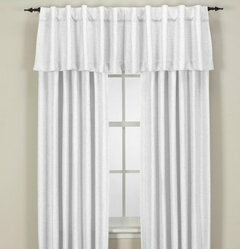 Can you grace them with pale curtains that are pulled back hanging beside the windows so as not to cover them? A dramatic geometric carpet would be nice. Whatever you decide on, be daring and have fun! I think your unhappiness about the room stems from too much sofa; they visually suffocate your space. The fact that they're sitting next to each other filling that corner makes it worse, and they don't match. Two sofas like that would work facing each other, but I think that won't work in your room. 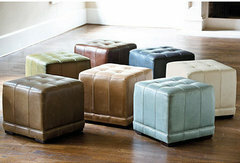 So, I'd ditch one sofa and replace with armchairs with a side table between them. 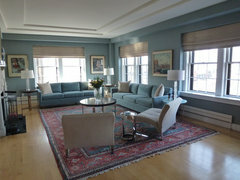 Sofas parked under windows also give a room that heavy look. Making at least one of your windows accessible will open up the space. 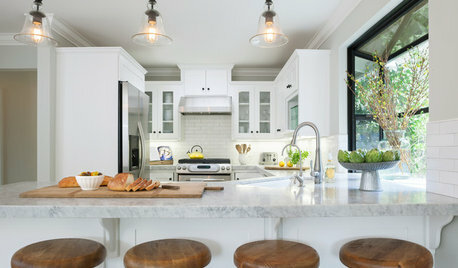 I actually like the ceiling fixture. 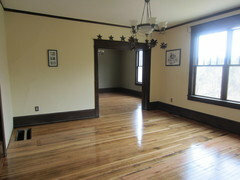 The house is sort of Victorian/Craftsman? 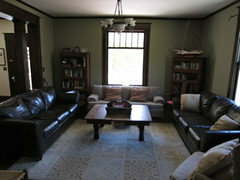 Instead of going modern with the lighting, I'd move the bookcases and add some end tables with lamps. There are some end tables that would hold some of those books that would work. Maybe in a painted finish to add some color. Some bright artwork and toss pillows could liven things up. Don't paint that woodwork! 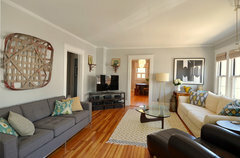 LIVING ROOM MAKEOVER: from Beige to Dark Inky GREY, with 1 WHITE wall.